Following the Office of the President’s listening sessions on gender equity last fall, Georgia Tech identified 11 initiatives that will be implemented over the next two years. These initiatives are grouped into four impact areas: hiring, promotion, and tenure; professional and leadership development; leadership appointments; and recognition and increased visibility of the Institute’s commitment to gender equity. 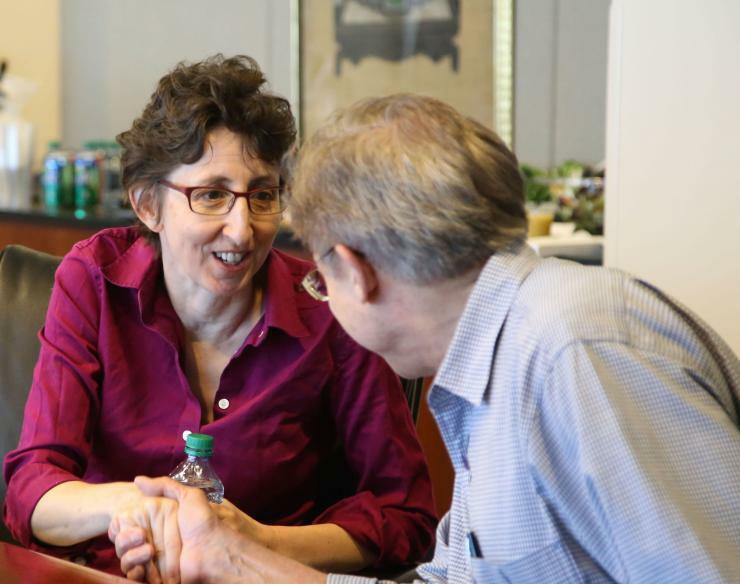 President Peterson met formally with seven groups—consisting separately of academic faculty, research faculty, staff, and students—and informally with various groups of faculty, staff, and students. Feedback from faculty and staff showed that some of the Institute’s collective actions, practices, and policies demonstrated a lack of recognition for the contributions of women. “Two themes emerged that will guide the Institute’s action plan toward advancing a culture of gender equity and inclusive excellence,” remarked Archie Ervin, vice president of Institute Diversity. Promote gender equity policies and processes relating to recruitment, hiring, retention, and promotion; create additional professional development opportunities; and emphasize the appointment to leadership roles of women faculty and staff members. 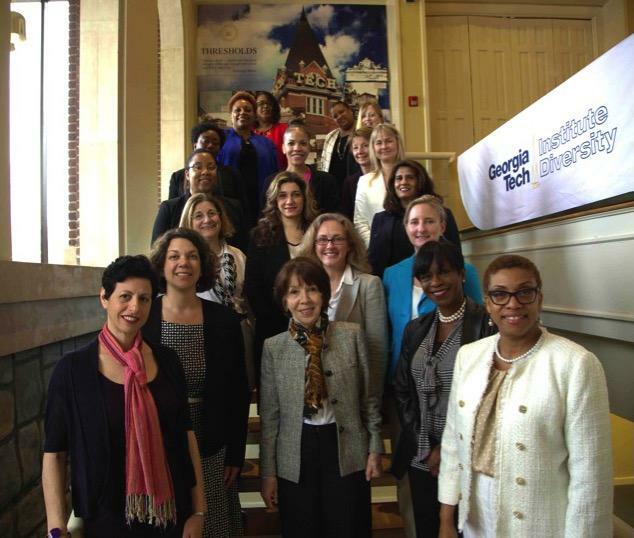 Celebrate and recognize the contributions of women in the Georgia Tech community and make the Institute’s commitment to inclusion more visible in communications. 1. Implicit Bias Workshops – Offer Implicit Bias Workshops for senior staff search committees, faculty hiring committees, and faculty promotion and tenure committees. These workshops increase awareness of the impact of implicit bias and facilitate equitable decision-making across a range of processes. 2. Diversity Guidelines to Search Committees – Develop a search guidance framework with best practices and related policies for faculty and senior staff searches that are transparent and fair and yield the most qualified and diverse applicant pools. 3. Processes and Pathways to Advancement and Promotion – Review the performance management process for faculty to be aligned with career advancement, and develop a career track for staff that includes career maps and identifies core competencies. 4. Salary Equity Studies – Conduct gender equity surveys periodically for faculty and staff, and identify funding to meet salary inequity issues as appropriate. 5. Professional and Leadership Development Programs – Develop leadership coaching for women faculty and staff, such as the Leading Women @ Tech program, and encourage faculty to be involved in student organizations. 6. Family Friendly Programming and Policies – Revisit and strengthen the Family Friendly Task Force recommendations for faculty and staff, including dual hiring policies, parental leave, and others. 7. Inclusive and Open Processes for Appointments – Require guidelines in the identification of candidates for faculty leadership positions. Also require inclusive and open processes for appointments to faculty administrative, named faculty, and Regents’ Professor and Researcher positions. 8. Reporting System Awareness – Increase awareness of in-person and anonymous reporting channels for experiences of bias, including gender bias. 9. Success Story Promotion – Regularly promote the success stories and achievements of women through internal and external communication channels. 10. Event Promotion – Promote events on campus that feature and celebrate women, such as the Eighth Annual Diversity Symposium’s focus on gender equity. 11. Gender Equity Data – Analyze data on faculty attrition and compile reports that provide employee data and trends. Implementation of the Gender Equity Initiatives will be led by Institute Diversity, in partnership with the Office of Human Resources and Office of Faculty Affairs. For any questions on the Gender Equity Initiatives, email institutediversity@gatech.edu. For more information, visit diversity.gatech.edu/genderequityinitiatives. Institute Diversity, in collaboration with Georgia Tech’s ADVANCE Program, is offering 90-minute workshops for faculty focused on implicit bias and perceptions of competence. The goal of the workshop is to increase awareness of the impact of implicit bias and facilitate equitable decision-making across a range of processes involving faculty evaluations.